Lucky for us who love this exciting event which takes place in September, it was announced to be renewed last year. So hurray to the new extension! This year’s F1 Grand Prix will take place on the 20th to 22nd of September, plus a closing ceremony on Monday 23rd September. I sincerely hope I will be free from school work then! Guess what is exciting this year for us here at TFP other than the exciting race? The first headliner for the race this year is The Killers! Las Vegas alternative rock-band The Killers, is set to play for the post-qualifying round on Friday, 20th September. This is will be their FIRST time in Singapore, and here you go Singaporeans. Being one of the bands well-known for their rad live performances, we are all in for a treat. Remember Mr Brightside? Their set here is also part of their Battle Born world tour, so be sure to expect sick tunes such as ‘Somebody Told Me’ and ‘All The Things I’ve Done’. Next up, Rihanna! She is one of my favourite female singers, and will headline the Grand Prix on Saturday, the 21st. This will be part of her 2013 Diamonds World Tour. I am expecting a full-on blast of her energetic performances, and the superstar to belt out some of her popular tunes to the crowd. I already can imagine her performing irresistable tunes such as ‘Where Have You Been’ and ‘We Found Love’. Pop diva Rihanna has also sold her SIXTH million-selling album Apologetic in the U.S this week. The most recent act announced by the organiser is Canadian pop-star Justin bieber, who is set to play during the Closing Concert, which falls on 23rd September- a Monday and will be separately ticketed however. Being ranked as the third-most powerful celebrity in the world at an age of 19, many of his fans will definitely be there to watch him! Beliebers, where are you?! And we are expecting the audience to have an absolutely fun time with his popular tunes including ‘Beauty and a Beat’ and ‘As Long As You Love Me’. Well, that’s about it for now. We are expecting more news as well, so everyone better be saving up for the tickets. Check out ticket prices here. Join them on Facebook too, and make sure to follow their Twitter account for the latest updates! 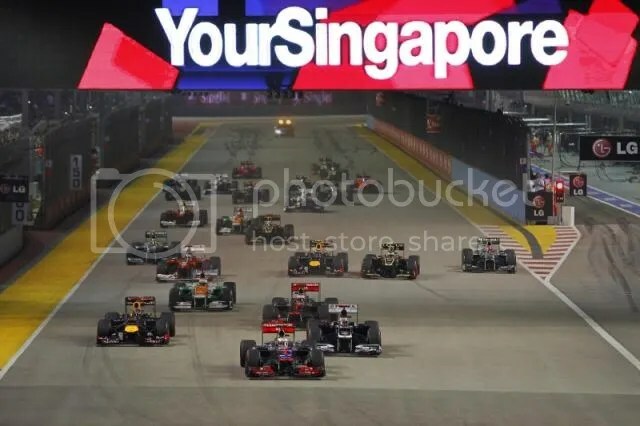 Pingback: Rihanna, Justin Bieber To Perform At Formula One Grand Prix Season Singapore | What's Catchy?